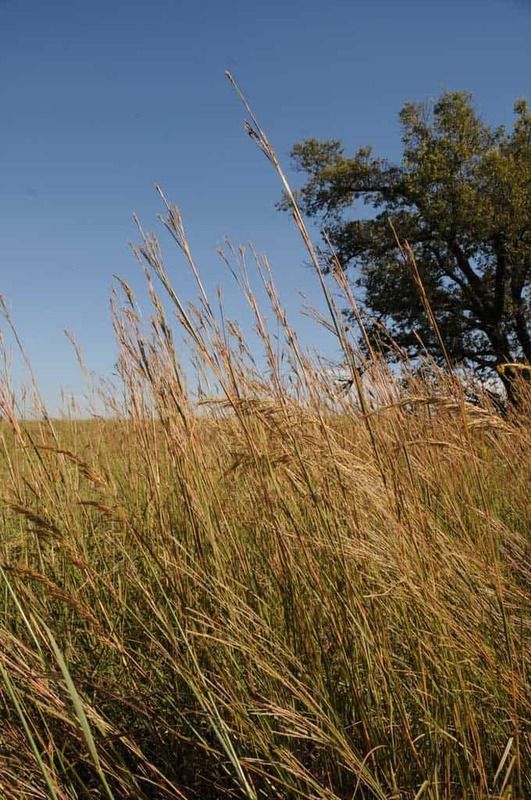 Kaw Big Bluestem was developed in Kansas and is a superb choice for excellent forage quality. 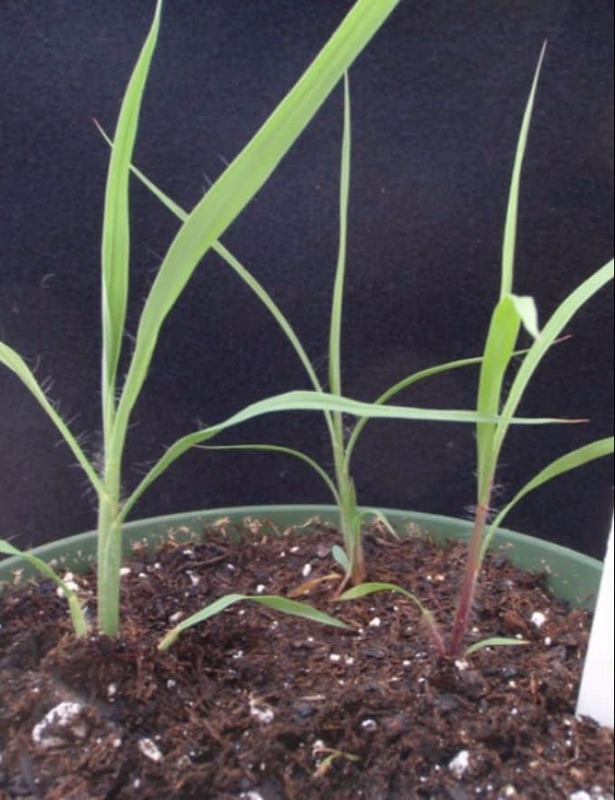 It has shown superior leafiness, general vigor and it equals or surpasses common Big Bluestem in disease resistance. 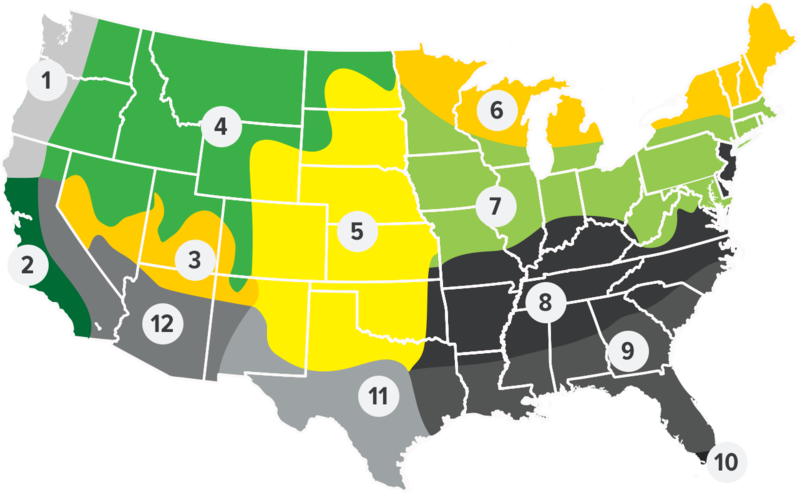 It is a late season variety recommended for use from central Nebraska and south through Oklahoma. Big Bluestem is a native warm-season, rhizomatous, perennial bunchgrass. 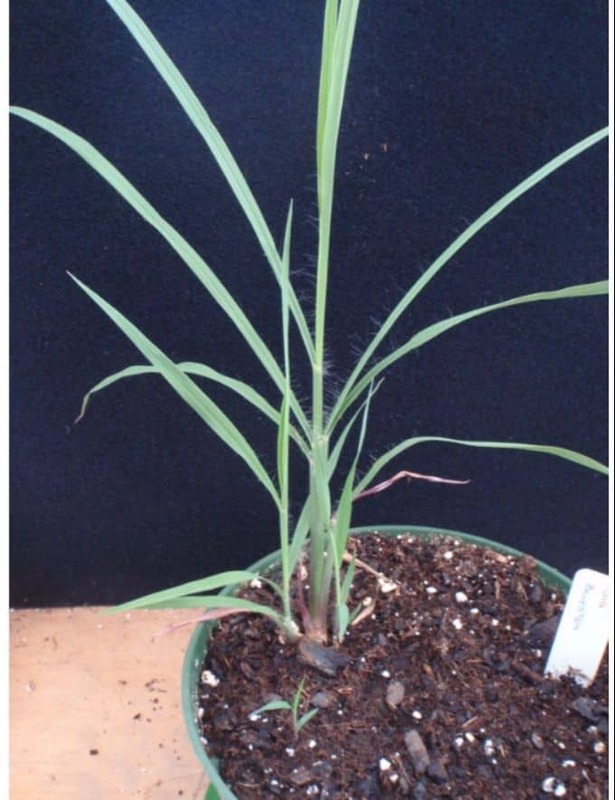 It is a tall grass with short scaly underground stems and a strong, deep root system. Big Bluestem begins growth in late April, and stalks 4 to 6 feet tall appear from late August to October. 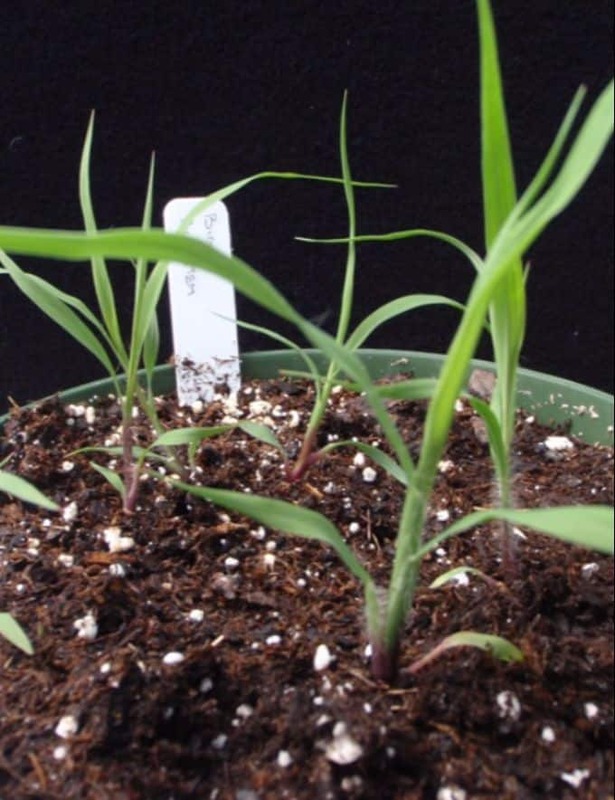 Big Bluestem grows in large clumps, is extremely leafy and can be found growing on most all the better soils in the true prairie belt. The stem is round and has a reddish tint. The seed head forms three finger-like branches, giving it the shape of a turkey’s foot. Big Bluestem produces a high quality, palatable hay when cut before it becomes stemmy and the seed head forms. It also provides for a highly palatable and nutritious pasture, but should not be grazed closer than 6 to 8 inches during the growing season. The seed head matures in late September and October. Big Bluestem can be seeded alone or in mixtures with other tall and mid grasses such as out Big Four and Prairie Gold blends. Big bluestem is climatically adapted throughout the Midwest and Northeast on moderately well drained through excessively well drained soils. It is adapted to a range of other soil limitations such as shallow depth, low pH, and low fertility. 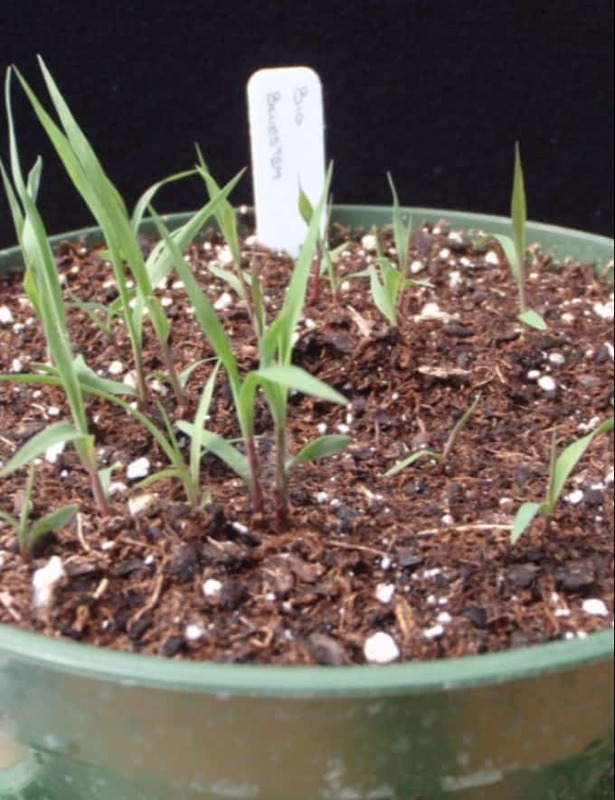 Big bluestem is an excellent choice for soil conservation applications. 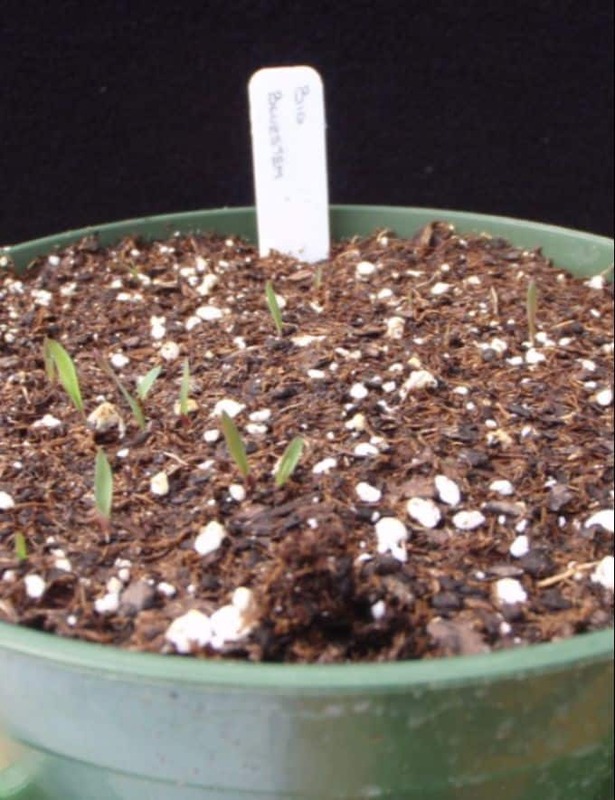 It is generally planted as a component with various other warm season grasses such as indiangrass, switchgrass, and little bluestem. Big bluestem is highly palatable to many species of livestock. Its preference over other species of grasses can lead to selective grazing and the decrease in population relative to these other species. Big bluestem is commonly planted in urban and rural landscapes as a low-maintenance species for accent plants and well as in large groups. 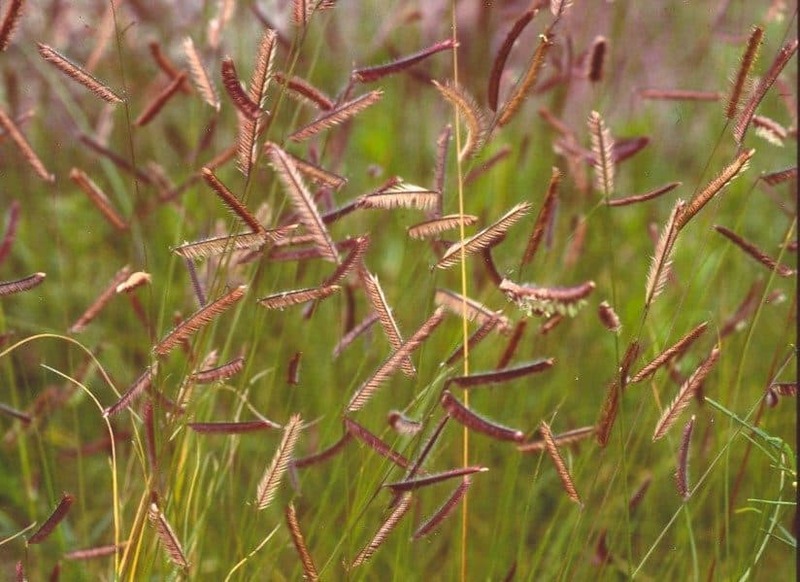 The early dark green color, uniquely attractive seed head, and late season reddish color provide for a year around attractive display.